I’ve just been reading London After Midnight by Marie Coolidge-Rask. This is the 1928 novelization of the Tod Browning film starring Lon Chaney. 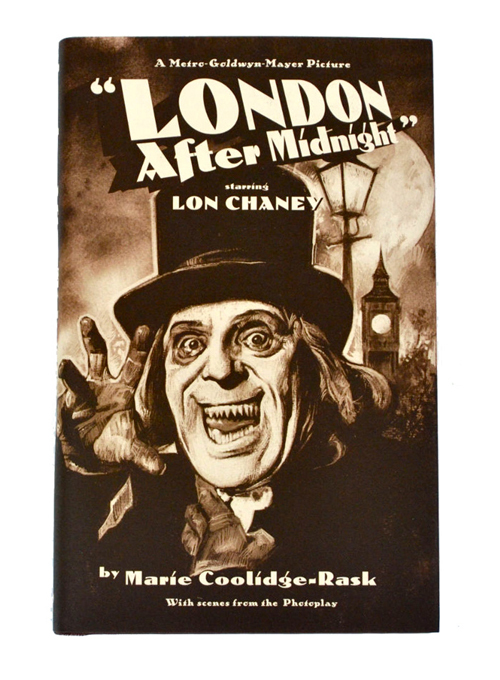 It is one of the most famous of lost films, one that has tantalized generations of horror movie fans with the gorgeous stills of Chaney in monstrous make-up, even as it frustrates with the knowledge of the twist — the vampires in the film are not the real deal, and are part of the plan by Inspector Burke of Scotland Yard (Chaney again) to unmask a murderer.